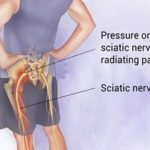 The term Sciatica is used to describe leg pain, tingling, numbness or weakness that travels from the low back down the sciatic nerve into the back of the legs. The term Sciatica is used to describe leg pain, tingling, numbness or weakness that travels from the low back down the sciatic nerve into the back of legs. It is a very common condition with a prevalence of about 1 million cases per year in India. 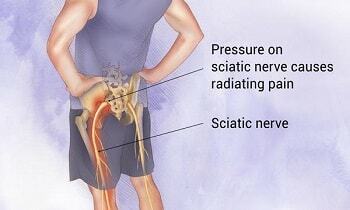 Sciatica is commonly due to entrapment or irritation of the sciatic nerve which is one of the main nerves of the lower limb. The most common cause is a prolapsed disc (slip disc). Although the incidence is more after the age of 40, with sedentary lifestyle, younger patients are also affected. 5. The pain of Sciatica can be excruciating and “not relieved by simple painkillers”. 1. Initially a trial of medicines is given according to severity of pain and general health. 2. Physical rehabilitation of your spine will be done by our specialist through physical therapy and exercise along with medication. 3. You will be explained in detail regarding posture / ergonomic corrections in your daily life for preventing further aggravation of your condition. 4. Patients who have severe pain will be treated with “Epidural Steroid Injection”. This treatment has proven efficacy in avoiding spine surgery in such patients. 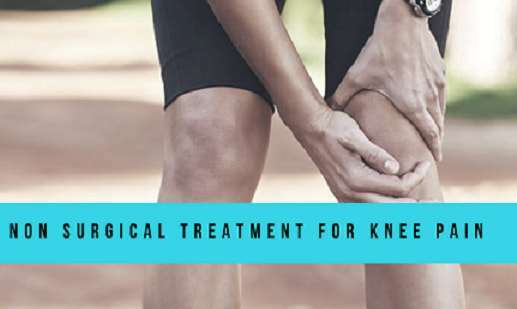 Epidural Steroid Injection is a proven, safe and an effective treatment based on the concept of Interventional pain management to relieve the pain of Sciatica. Epidural Steroid Injection is a procedure done in an Operation Theatre using X-Ray guidance to locate the exact level of injection. A drug mixture consisting of a Steroid with Local Anaesthetic is injected into the epidural space of the affected nerve root. Steroid has anti-inflammatory properties thus decreasing nerve inflammation resulting from disc prolapse. This is a day care procedure i.e. the patients are discharged on the same day. Generally, a single injection is sufficient to relieve patients of their pain. The procedure can be repeated for a maximum 3 times in a year, depending on the patient’s response. Please consult with our Super Sepcialised Pain Management Doctors today, Click here to book an appointment. Used worldwide in sports–related injuries. Few famous personalities recently treated with PRP therapy include Tiger Woods (golf) in his knee following surgery, Takashi Saito (Baseball)in his elbow, among many others. 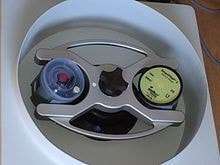 PRP can be prepared by various methods and equipment. 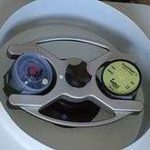 At Painex, we have the best PRP centrifuge available in the market, along with a specially designed disposable, single use container. Being disposable and single use chances of transmitting infections like HIV, HBsAg, HCV etc are almost nullified. Diabetes, is a multi system disorder and can harm the nerves resulting into what we call as “diabetic neuropathy”. About 60 to 70% patients with diabetes end up having neuropathy. Diabetes is the most common cause of neuropathy worldwide. Development of neuropathy in diabetes is mainly related to prolonged uncontrolled blood sugar. However a few risk factors have been identified. 3.History of periods of poor glycemic control. Depending on the location and type of nerve fibers involved, various types of neuropathies may be present, namely peripheral polyneuropathy, focal neuropathy, autonomic neuropathy etc. However, consult your doctor if you are diabetic and have any of the following symptoms. Diabetic neuropathic pain is typically a long lasting and nagging type of pain, which affects sleep, activity and overall quality of life. 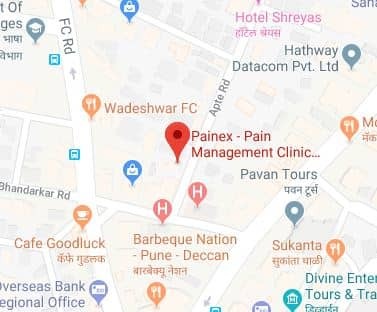 At Painex, our consultants are specialized in treating neuropathic pain. Depending on the extent of your disease process, targeted pharmacotherapy will be given, keeping in mind the long standing nature of your pain and associated diabetes. For severe, intractable pain, other modalities in the form if monitored intravenous infusions may be recommended. Physiotherapy and counseling is offered as an adjunct. A pain free life is just within your reach. Book an appointment with us today !